And this – this is an image of our podcast setup this evening. When all else fails, find a watermelon to prop a mic on. 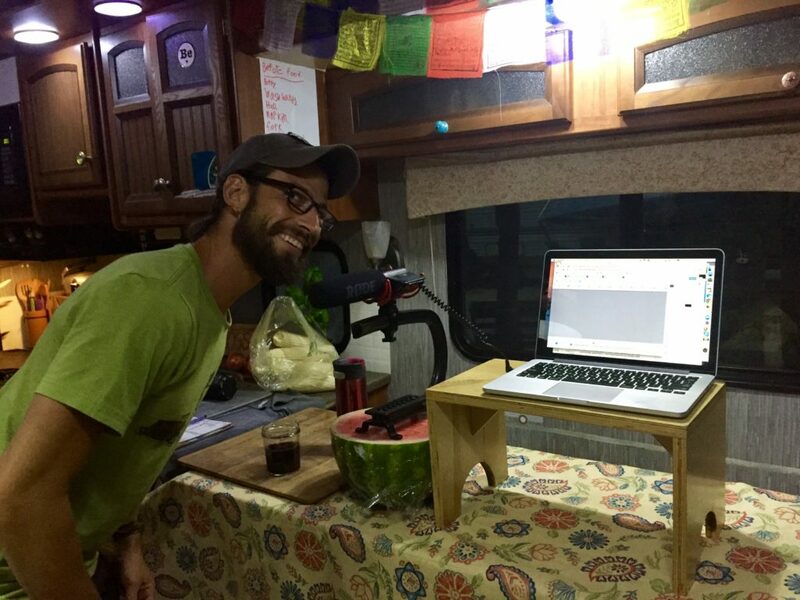 Want to know what it’s really like recording a podcast in a camper? We improvise! In this episode, we had to do a long pause because our dog, Harley, was pacing the floor and trying to scoot into her bed underneath our couch. We also had the door open, and as the sun set, the crickets came out in full force – it was loud enough I had to shut the door because it was drowning us out! Mamas think they know it all – we know our children so well, that fathers can become second-fiddle. 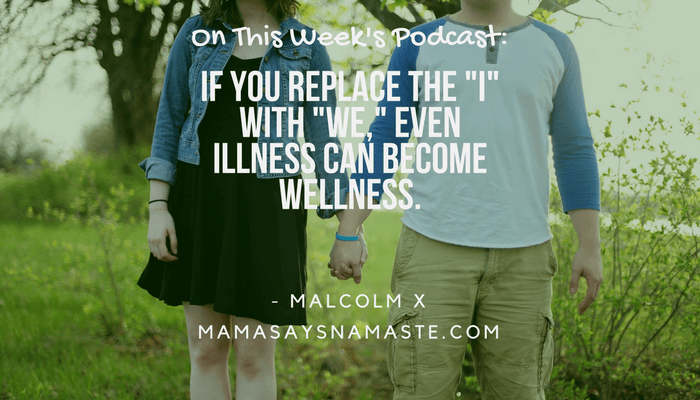 Just like a sports team, everyone has a role that is important…but not identical. Don’t try to duplicate a mother – look at what a father can be. There are two sides to every story. And having a TEAM and an open line of communication helps to eliminate so many battles. Sometimes the best tactic is to pull your own perspective out of it and just listen to where the other person is coming from. Your life is a reflection of what you care most about – where do you spend your time? What are you willing to invest in? Hold hands and run hard. It means you have to really pay attention to what the other is doing. If you want your relationship to work, you are only as fast and as powerful as the team. If you are struggling with something, ask for help! And then lay out how the other really can help you. Lay out the expectations so you CAN move forward and take action vs. there being an ambiguous “I can help you” statement that accomplishes nothing. When IS the right time to get married? Trick question! It’s when you decide to. Don’t base your decision on age or commitment in the moment. Make a conscious decision each and every day to love and make it work. When I coach, we address the past only in relation to the future, and we work together to create a real deal feasible plan to be proactive in creating the life – and relationships – you truly desire. Coaches focus on creating the life you want, not simply processing the life you had. If you want to explore this further, hop on over to my coaching page and fill out the form at the bottom. 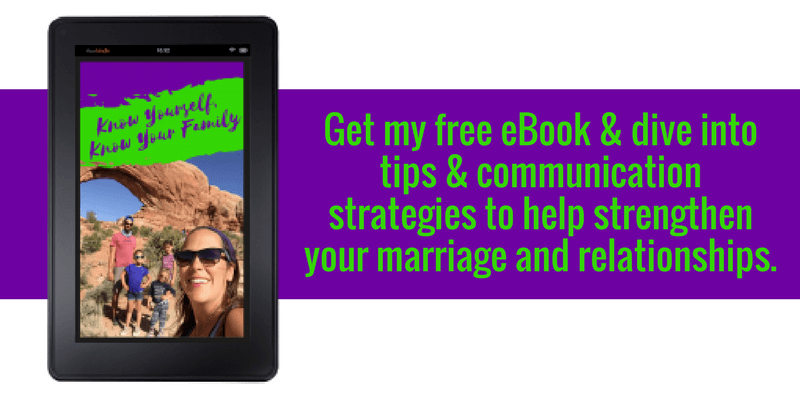 I’ll connect with an individual coaching package just for you that fits your needs and your budget. Practice loving yourself. Take 30 minutes in the morning and write down all the things you love about yourself. Love yourself first, because it’s a slap in the face to the one YOU love when you believe you’re unlovable. Give yourself grace, and remember that today is a new day. Check out last week’s blog post on this topic: Pride Goeth Before A Fall: Can Your Marriage Hold Up?